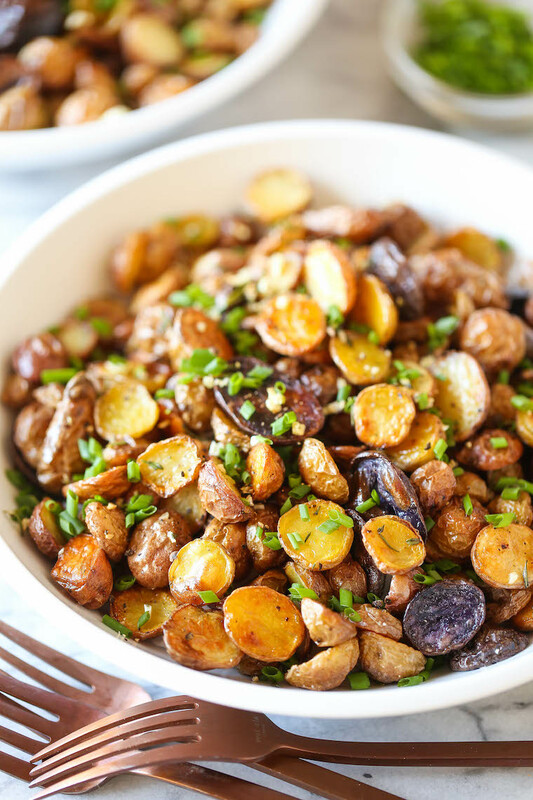 Extra-crispy roasted potatoes! 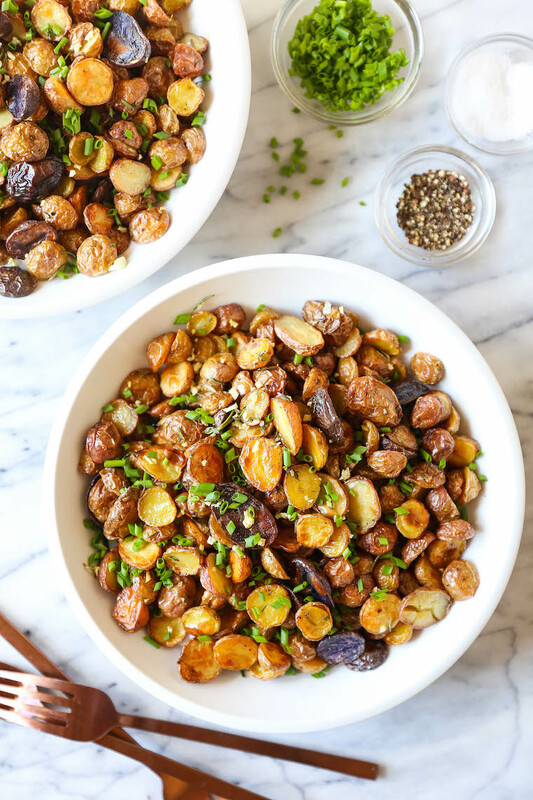 It’s the perfect side dish to any meal with only 15 min prep and the shortest ingredient list! No matter what you’re making, we all need that perfect side dish to our meal, whether it be a grain, a veggie, or a salad. But for me, it’s these roasted potatoes all the way. It’s quick, it’s simple, and it’s truly the best accompaniment to anything and everything. Also, who doesn’t love extra-crispy roasted potatoes, right? I mean, there’s no sogginess and no mushiness here. Now the key to crispy potatoes is not to overcrowd your pan – hence the need for 2 baking sheets (or you can simply halve the recipe). And I find that the itty-bitty pee wee potatoes are the best kind of potatoes to get that super crisp, crunchy exterior we all love. And remember, stir the potatoes just once – potatoes don’t really like to be touched! Preheat oven to 450 degrees F. Line 2 baking sheets with parchment paper. In a large bowl, combine potatoes and canola oil; season with salt and pepper, to taste. Place potatoes in a single layer onto the prepared baking sheets. Place into oven and bake for 40-45 minutes, until golden brown and crisp, stirring and rotating pans halfway through baking. Stir in garlic, thyme and rosemary during the last 3 minutes of cooking time.